The Project: Siderophore production and function in the geosphere: experimental studies and field measurements of mineral weathering and biomineralization. This is a fully funded four year PhD position under the joint supervision of Sara Holmström, Volker Brüchert, and Nils Holm. The successful applicant will study the interactions of microbes with the global earth with focus on the production and the role of biogenic siderophores in biogeochemical processes. Related activities include both laboratory and field work. 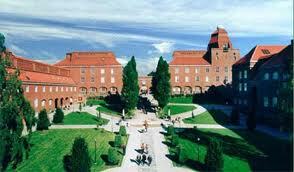 Stockholm University Requirements: Applicants must have completed a research degree (e.g. Masters) or university study of 240 p (4 years), with at least 60 p (1 year) at the advanced (research) level. Department Requirements: undergraduate courses: at least 90 p in Earth Science and 30 p chemistry, and at least a 30 p independent project at the advanced level in geology, geochemistry, biogeochemistry or any chemistry-enriched natural science subject. The basis for selection is the applicant’s ability to succeed at research training. Stockholm University is an equal opportunity employer. Appointment regulations for research training at Stockholm University are available in Swedish at: Official Website . and the Higher Education Board’s handbook for PhD students in both Swedish and English at: Official Website . Union representatives are Bo Ekengren, SACO, Liseth Häggberg, ST and Birgitta Carlén, SEKO, Phone: + 46 8 162000. Cover letter, completed form SU 9012 click here for form , CV, copies of examination certificates and/or other proof of eligibility and the contact details of two referees. The deadline for applications is 26 March 2011. Demikianlah artikel mengenai PhD Scholarshp Position in Geochemistry at Stockholm University Semoga Bermanfaat Bagi Anda.